Choose a mobile computer that can continually evolve to meet your ever-changing business needs — the Motorola Workabout Pro 4. Its impressive modularity lets you buy the features they need now, yet easily add practically any feature, right in their own facility. Start with Wi-Fi and add WWAN. Swap scan engines to support new types of bar codes. Swap end caps to add support for voice picking applications and just about any type of RFID tag. 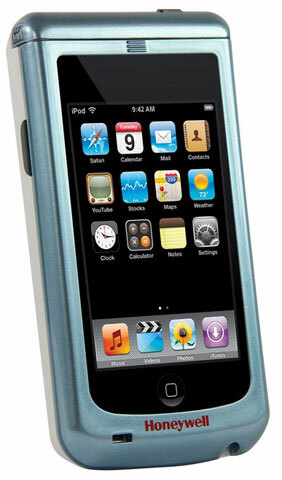 Add a high-resolution camera to document proof of delivery, just by swapping the back cover of the device. A large portfolio of ready-to-use modules developed by our partners is available to meet the highly specialized needs of diverse vertical markets. Since this rugged device is built to handle all day use indoors and outside, you can put it in the hands of practically any type of worker in any type of business — from workers in dusty warehouse aisles to maintenance technicians and delivery drivers who spend their days in some of the most demanding weather conditions. 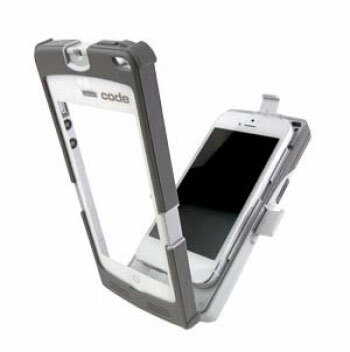 Code announced the release of its new barcode reader, a scanning sled for use with the Apple iPhone 5s. The Code Reader 4405 (CR4405) transforms the iPhone 5s into an advanced data capture device, capable of reading 1D , 2D and Postal barcode symbologies. 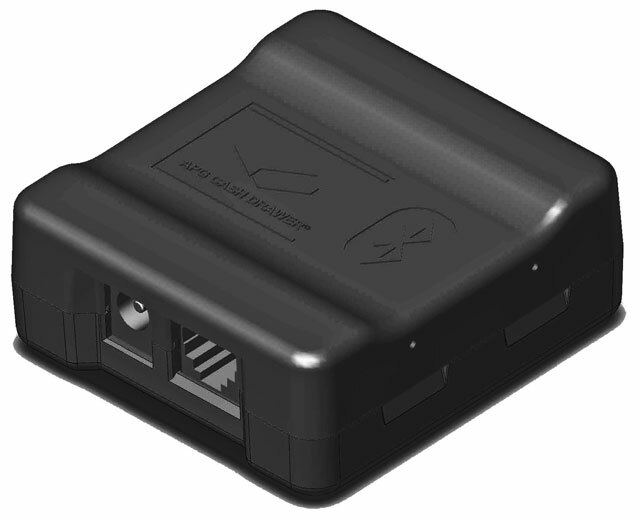 Designed to increase productivity and efficiency, the CR4405 is a cost-effective way to convert the popular iPhone 5s into a comprehensive mobile barcode reading solution ideal for deployment into industries that rely on high performing mobile devices – such as healthcare, retail, government, and event management applications. Posiflex has announced at the National Retail Federation 2014, booth 1355, an intelligent foldable base for its XT series of 15” touch screen terminals, now available for purchase. The sleek new fold‐flat design optimizes height and viewing angles to satisfy a variety of cashier and user viewing positions. This foldable form results in a 40% reduction in the package size and weight to reduce deployment shipping costs. 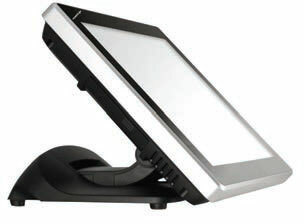 There are two sleek XT Series 15” touch screen models. Posiflex XT4015 has a choice of three powerful processor options; or the cost effective workhorse, the Posiflex XT3215. XT4015 offers a choice of three powerful Intel processors; the G540 2.5 GHz, the Core i3‐3220 3.3GHz, or the Core i5‐3550s 3.7GHz, for the most demanding applications. The XT4015’s bezel‐free projective capacitive or resistive touch screen terminal comes standard with 4GB DDR3 RAM, and can be upgraded up to 16GB to run virtually any retail, hospitality or healthcare software, and more. To secure valuable data, the XT4015 optionally offers RAID 1 (disk mirroring). Designed with Dedicated Operating System to reduce redundancy and raise productivity. The 8600 series mobile computer is a pioneer handheld terminal of new generation designed for various verticals including warehousing, distribution center, and manufacturing. Running on CipherLab operating system, the 8600 series focuses on typical AIDC applications that are specific to the company’s needs. Its flexible designs include swappable keypads and modular charging system. Equipped with a color display, proven WLAN 802.11 b /g / n, the latest Bluetooth 4.0 and versatile reader options, 8600 series is an ideal companion for your work force and will undoubtedly simplify their tasks and increase their overall productivity. Brand owners face many challenges in developing and maintaining a positive impression with their customer base. Strategies for product performance, reliability, and value must be carefully developed and flawlessly executed to remain effective. However, counterfeit goods can tarnish positive perception in the marketplace, while gray market redistribution can undermine pricing and profitability. Intermec’s suite of security media products can strengthen defenses against these threats. Security can have one or several layered attributes to validate chain of custody from a brand owner to the consumer. Serialization from variable information printing, the core of bar code and RFID applications, verifies code synchronization with trading partners. Overt designs convey consumer confidence, while covert features such as small hidden characters or UV fluorescing inks are known only to the brand owner. Honeywell announced the expansion of its successful Captuvo line of encasements for Apple devices at the HIMSS14 Annual Conference & Exposition in Orlando. The Captuvo SL22h and SL42h, designed for healthcare environments, equip iPod touch (5TH generation) and iPhone (5, 5c and 5s) devices with the power of barcode data collection to increase productivity and support healthcare “Converged Device” strategies. The SL22h and SL42h sleds are lightweight and have a compact design that reduces user fatigue by offering single-handed functionality for clinical staff performing a variety of tasks, including medication administration, specimen collection and remote patient monitoring. Its purpose-built protective housing is designed to withstand multiple 4-foot drops, offers critical screen protection and provides a reliable solution for data collection in rigorous healthcare settings. And a disinfectant-ready housing allows healthcare professionals to regularly clean the device minimizing the risk of spreading infectious diseases. TSC has introduced its new MX240 Series, a high-performance industrial label printer designed to handle tough mission-critical applications around the clock. The MX240 Series features a die-cast aluminum print mechanism housed in a durable, yet lightweight, chassis that is built to handle heavy-duty demand cycles typically seen in manufacturing, logistics/shipping, and product-identification applications. 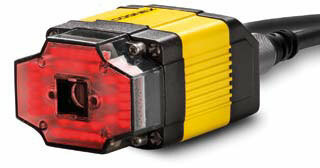 MX240 Series will be available worldwide starting in the middle of March, 2014. Brother, in partnership with PDC Healthcare, will be showcasing its new TrustSense Patient ID Printing Solution at the HIMSS 2014 Intelligent Hospital Pavilion from Feb. 24 to 27 in Orlando, FL. The TrustSense healthcare thermal printer TD-2130NHC provides on-demand wristband and label printing in virtually any area of the hospital. The HIMSS Intelligent Hospital Pavilion is an educational simulated hospital that demonstrates advanced and integrated solutions in the patient care environment. The technologies displayed address many of the issues that can potentially impact patient care and safety.